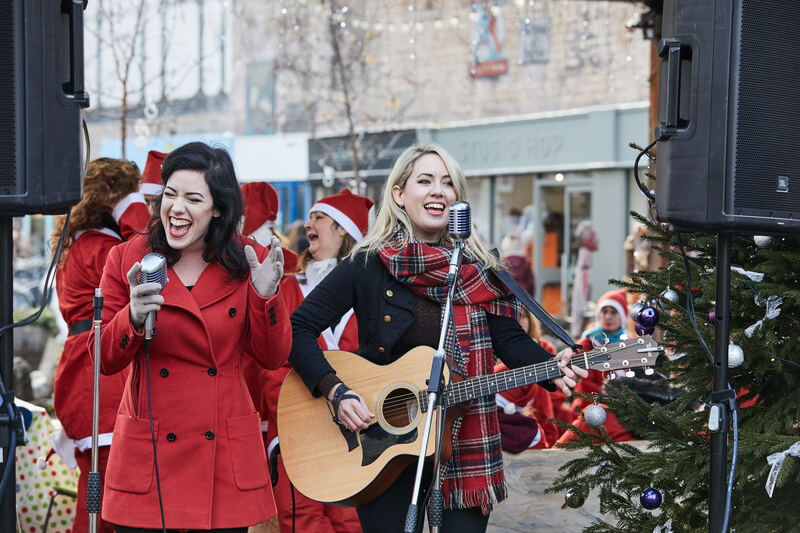 On Saturday 1 December 2018, join the well-known food, drink and design destination, Gabriel’s wharf, for a day of festive fun and frolicking! It will be a magical day of food, shopping, festive treats and music. Browse around the independent boutiques and discover an extensive range of interesting and exclusive gifts whilst the wonderful aromas of gingerbread and mulled spices fill the air. Delightful! Join our Coin Street Community Choir as they embrace the festive spirit with live performances of classic Christmas carols and crowd pleasing tunes or simply enjoy the live music of Daughters of Davis, a fantastic duo who have most recently been touring with the likes of Peter Andre, Rebecca Ferguson and Sam Bailey, and have opened for Beyoncé at the LG Arena. Not only is it the beginning of December, it's also Small Business Saturday on the 1st! You'll also be able to peruse and buy the many gifts at the pop-up enterprise market - creations from young entrepreneurs who have been attending the Upgrade Yourself enterprise course. The live music will take place between 12-4pm. Guests are welcome to stay and browse the shops which will be open until 6pm. For more information please visit the Coin Street Community Builders' website. This arty enclave offers design-led shopping, from jewellery and fashion to fair-trade furnishings and affordable artwork. Relax in one of the cafes and restaurants which enjoy spectacular views of the river Thames.